If BAMBI had been a feral cat in Australia, this might be his story. An Australian feral cat with a blue-blood ancestry grows through all his nine lives…and then some…in a tale that tackles the issue of abandoned pets—from the cat’s point of view. 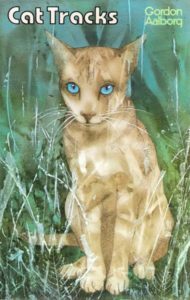 The chance meeting of a Blue-point Siamese show cat and a wild, feral Australian bush cat creates the nameless hero of this feline survival epic. Orphaned while young when the mother is killed in a fight with a fox, the cat learns to fend for itself, faces starvation, learns to hunt, fish and steal, and eventually grows to maturity. On the way, he deals with threats including poisonous snakes, foxes, the Powerful Owl, ferocious dog packs and the very weather itself. An aging bushman tracks the cat through his life journey, fascinated by a creature his logic tells him he should hate and despise. The Australian feral cat is very much a product of human carelessness at best and pure callousness at worst. As truly wild as the great cats of Africa and Asia, the feral cat is perhaps the most successful predator in the Australian bush – and a growing threat to rare native marsupials, birds and reptiles. Its agility, speed, hunting acumen and lack of natural predators make it one of that country’s most destructive introduced species, and naturalists and conservationists see its eradication as vital, but unlikely. This is the story of such a cat, seen partly through the cat’s own eyes and partly through those of an old Australian bushman who is fascinated by a creature his logic tells him he should hate and despise. The cat’s life-long fight for survival is an elemental story of the animal world, its interplay with the world of humans, and of the natural forces which shape both. Carole Nelson Douglas, author of the Midnight Louie books.